Info about "Morihei Ueshiba video"
Morihei Ueshiba was born on December 14 1883 in a village of the province of Wakayama, south of Osaka (Japan). 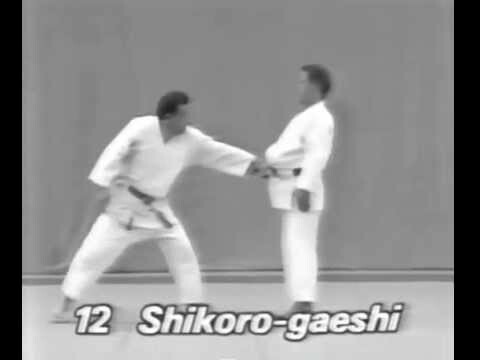 He was short (158 cm) and still a frail teenager when he briefly studied Jujutsu at the age of 17 at the Kito School (Tokusaburo Tosawa) in Tokyo. In 1903, at the onset of the war between Russia and Japan he enlists in the infantry. Discharged a few years later he studies fencing at the Yagyu School in Sakai (near Osaka) and granted a certificate in 1908. In 1910, he leaves with a group of settlers for Hokkaido, the big Island to the north of the Japanese archipelago. He encounters Sokaku Takeda, a renowned master of Daito Jiu-jitsu and becomes his student. He is initiated to the secrets of the sect and more so to the essence of budo. He becomes a certified instructor in 1916. In 1918 shortly before his father¿s death, he encounters Degushi Onisaburo, founder of a Shinto sect and a dedicated pacifist who will become his spiritual leader. He turns to meditation and prayers while still teaching Budo. This is the awakening of a long spiritual quest. 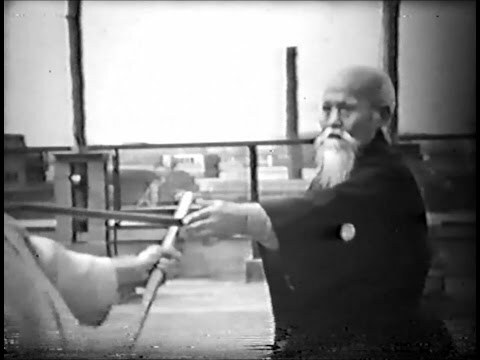 In 1925 he experiences a first revelation: «I understood, Budo is not felling the opponent by our force; nor is it a tool to lead the world into destruction with arms. 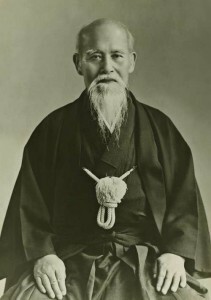 True Budo is to accept the spirit of the universe, keep the peace of the world, correctly produce, protect and cultivate all beings in nature “» In 1927 he moves to Tokyo and opens a Budo school. He has developed an exceptional strength which enables him to defy any adversary despite his small size. The reputation of his school spreads fast. 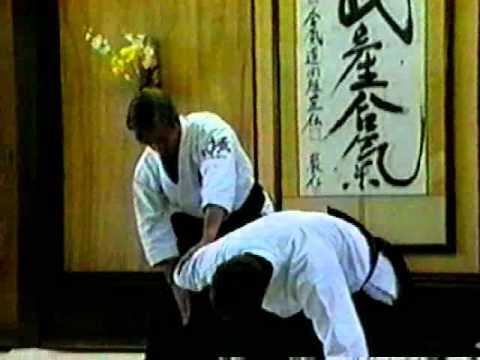 Other grand masters like Jigoro Gano, founder of Judo, send their advanced students to complement their training. He chooses his students from the elite of the army, the navy and the police and the Japanese high society. 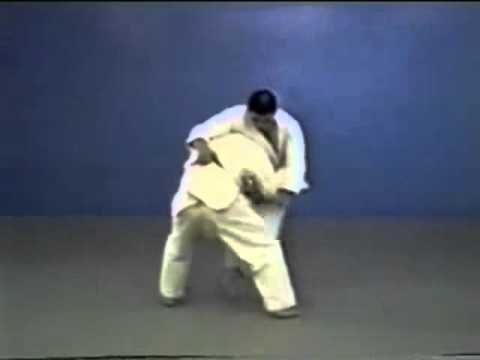 Around 1942 Morihei Ueshiba¿s teaching is officially named Aikido. Those are tough times. Japan is at war and in 1942 he puts his son in charge of an almost deserted central dojo and leaves Tokyo for farmlands. He builds an open sky dojo where he spends the next 10 years perfecting his art. 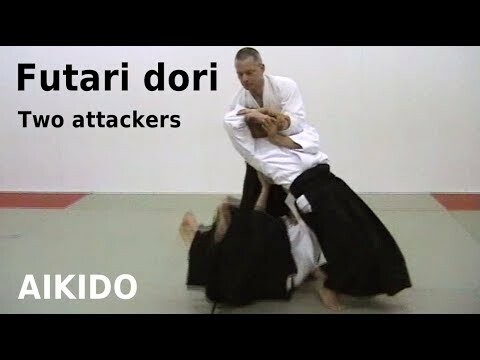 After the war Aikido opens up to all. 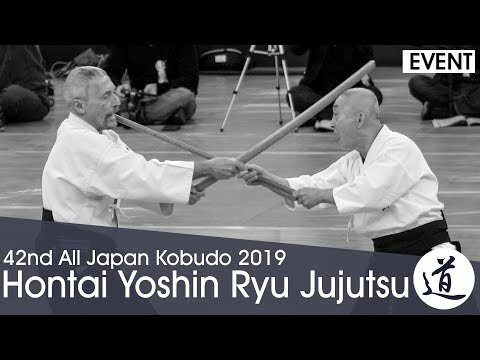 It expands rapidly in Japan first then, starting in the mid fifties in Asia, Hawaii and later in the western world with the dispatching of permanent instructors abroad. On April 26, 1969 the Great Master passed away. He was 86. His son Kisshomaru succeeded him until his death in 1999 and his great grand son Moriteru thereafter.